These single phase explosion-proof motors are used for a wide variety of applications where hazardous fumes or dust may be present. Designs available include standard foot mounted, C face with base and C face less base. Baldor-Reliance 3 Phase Explosion Proof Motors up to 5HP. Baldor-Reliance's explosion-proof motors are used for a wide variety of applications where hazardous fumes or dust may be present. Designs available include standard foot mounted, C face with base and C face less base. Baldor 3 Phase Explosion Proof Motors over 5 HP. Baldor's explosion-proof motors are used for a wide variety of applications where hazardous fumes or dust may be present. Designs available include standard foot mounted, C face with base and C face less base. Worldwide Electric Explosion-Proof Motors Improve Safety And Reduce Costs In Hazardous Environments. Worldwide Electric Explosion-Proof Motors Are designed for use in hazardous environments where traditional electric motors may be a liability. 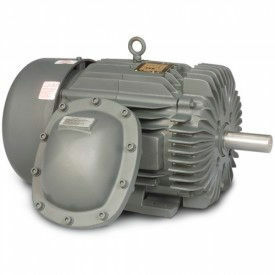 With a TEXP Enclosure, Worldwide Electric motors combine durability and strength. Units are available with C-Face Rigid Bases or with regular Rigid Bases. High Efficiency and Premium Efficiency models are also available. 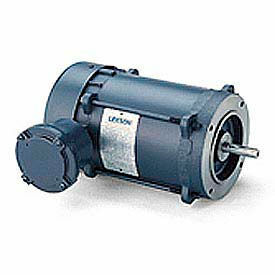 Motors are available with HP ratings from 1-300. 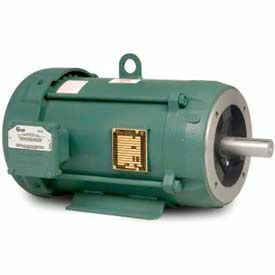 Motors with RPM ratings are available from 1200 to 3600. Units are also available in many frames for a variety of unique installations. All units built with high-quality materials for strength and long-lasting durability. The service factor on Worldwide Electric motors is 1.5. 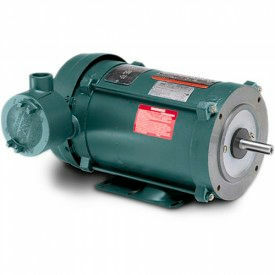 All motors are UL Listed, CSA Certified for Class 1, Division 2 Hazardous Locations. Marathon Motors Explosion Proof Motors, 3 PH, Under 5HP Are Used For A Wide Variety Of Applications Where Hazardous Fumes Or Dust May Be Present. Marathon Motors Explosion Proof Motors, 3 PH, Under 5HP are constructed with a cast iron frame for long lasting durability. Available with a variety of ratings. Suitable for tough industrial applications. Available in a variety of HPs from 1/4 to 5. Voltages are 230/460, 200, 208-230/460 and 575. RPMs are 1,200, 1,800 and 3,600. Frames vary per model. Quantity is 1. Marathon Motors Explosion Proof Motors, 3 PH, Over 5HP Are Designed For Use Where Hazardous Fumes Or Dust May Be Present. Marathon Motors Explosion Proof Motors, 3 PH, Over 5HP are constructed with a cast iron frame for long lasting durability. Available in three phase and single phase with a variety of ratings. Suitable for tough industrial applications. Available in a variety of HPs from 7-1/2 to 350. Voltages are 230/460, 200, 208-230/460, 460 and 575. RPMs are 1,200, 1,800 and 3,600. Frames vary per model. Quantity is 1. 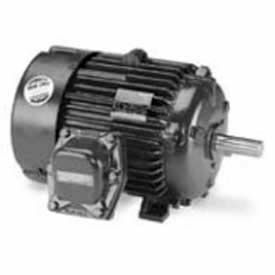 Baldor-Reliance 3 Phase Explosion Proof Motors Are Designed For Use With Driving Pumps, Compressors, Blowers, Fans And Other Applications Where Hazardous Fumes Or Dust Are Present. 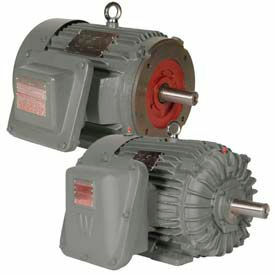 Baldor-Reliance Explosion Proof Motors are made of heavy duty rolled steel for long lasting durability. Features an explosion-proof breather design for added safety and protection. High quality ball bearings for enhanced reliability. Drain prevents build up of condensation for greater versatility. Corrosion-resistant epoxy finish. Insulated. Standard foot mount, C-Face with base or C-Face less base. Copper windings and corrosion-treated rotors on select models. UL and CSA approved. RPM, voltage, frame and HP vary per model. Package quantity is 1. Single Phase Explosion Proof Motors Are Used For Machine Applications In Hazardous Environments. 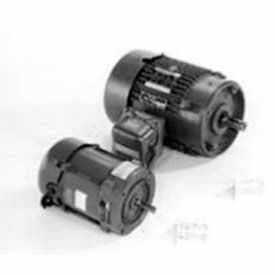 Single Phase Explosion Proof Motors are solidly manufactured for long lasting durability and dependability. Wide selection of Leeson® and Marathon® brand motors with heavy duty rolled steel enclosures are designed for use in hazardous environments. Single Phase units with 1140, 1200, 1725, 1800, 3450 and 3600 RPMs are available with 0.17, 0.25, 10.33, 0.5, 0.75, 1, 1.5 and 2 horsepower for various Rigid or Round frame designations. 115/208-230V. 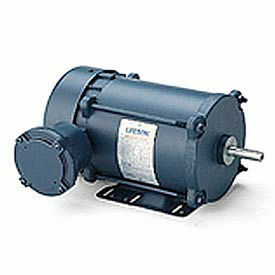 Leeson Explosion-Proof, 3-Phase Motors, C Face Less Base, Division I, Division II, Class I, Groups C&D Are Used For Use In Hazardous Locations. Leeson Explosion-Proof Motors are designed and approved for application in hazardous environments that have certain explosive gases or materials present. Rugged, mechanical construction meets all requirements for safety. UL and CSA listed. Double shielded, pre-lubricated ball bearings are standard. All motors have inherent automatic overload protection. Explosion-proof conduit box included at no extra cost. Division I areas are environments where a hazard is present continuously or would be subject to fire or explosion if the hazard was present as a result of an accident or uncommon occurrence. Division II areas are environments where the threat of fire or explosion is not normally present and not likely to result in the event of an abnormal occurrence. 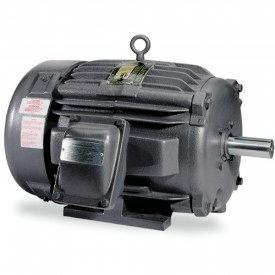 Application Notes: These motors must be applied in accordance with the National Electrical Code, Article #500. Leeson Explosion-Proof, 3-Phase, C Face Motors With Base Are Used For Use In Hazardous Enviroments Where Certain Explosive Gases Or Materials Are Present. 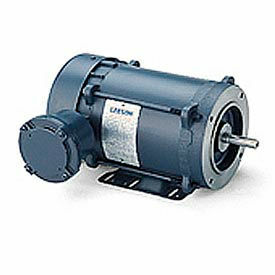 Leeson Explosion-Proof, 3-Phase, C Face Motors With Base are solidly made for long lasting durability and dependability. Division I, Division II, Class I, Groups C & D, Class II, Groups F & G with Conduit Box for hazardous locations. Rugged mechanical construction meeting all requirements for safety. Double shielded, pre-lubricated ball bearings. Inherent automatic overload protection. Explosion-proof conduit box included. Division I areas are environments where a hazard is present continuously or would be subject to fire or explosion if the hazard was present as a result of an accident or uncommon occurrence. Division II areas are environments where the threat of fire or explosion is not normally present and not likely to result in the event of an abnormal occurrence. Note: These motors must be applied in accordance with the National Electrical Code, Article #500. Available in .33 to 3 HP and 1425 to 3450 RPM. 56 Frame. UL and CSA listed. Explosion-proof, 3-phase motor, Rigid base, Division I, Division II, Class I, Groups C & D  Class II, Groups F & G with Conduit Box for hazardous locations. These explosion-proof motors are designed and approved for application in hazardous environments having certain explosive gases or materials present. Rugged mechanical construction meeting all requirements for safety. UL and CSA listed. Double shielded, pre-lubricated ball bearings are standard. All motors have inherent automatic overload protection. Explosion-proof conduit box included at no extra cost. Division I areas are environments where a hazard is present continuously or would be subject to fire or explosion if the hazard was present as a result of an accident or uncommon occurrence. Division II areas are environments where the threat of fire or explosion is not normally present and not likely to result in the event of an abnormal occurrence.